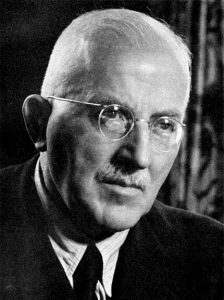 Gilbert Newton Lewis (1875-1946) Valence theory and Acid-Base theories. March 23 marks the passing of Gilbert Newton Lewis. Lewis was an American chemist best known for his valence bond theory and dot structures. Lewis spent much of his early career studying the thermodynamics of chemical systems. He made systematic measurements of the free energy of chemical reactions. He also introduced the idea of fugacity of gases to chemical thermodynamics. This correction factor of mechanical pressure in gas reactions allows real gases to be treated as ideal gases. Lewis added to the theory of valence bond structures using cubic atoms in his lectures. Each corner of the cube represented the position of valence electrons. His model of the atom had cubes of increasing size where the electrons filled the corners of each cube. Atoms would bond covalently by connecting one of their missing electron edges and sharing electrons to form a complete edge. This visualization would eventually be reduced to the Lewis Dot structure to show electron pairing. This model of electron pairing led to his work with acids and bases. A Lewis acid is considered an electron pair acceptor. Lewis acids have open spots in their structures to accept an electron pair. Lewis bases, on the other hand, have an excess of electron pairs to donate in reactions. If you think of the H+ ion as a Lewis acid, it can accept an electron pair donated by the OH– Lewis base to form water. This theory expanded the known list of acids to include any ion or molecule that can accept an electron pair. Lewis was also responsible for building the legitimacy of American chemistry. Throughout much of America’s scientific history, chemistry was a European science. Serious American students would spend a year or two in European laboratories to “legitimize” their scholarship. Lewis himself spent a couple years studying in Germany under Walther Nernst and Wilhelm Ostwald after obtaining his Ph.D. In 1912, Lewis became Dean of the College of Chemistry at the University of California, Berkeley. Under his guidance, chemistry at UC Berkeley grew over the next 32 years to be a major center of chemical study. His faculty attracted and produced multiple distinguished chemists and Nobel Prize winners. The department was home to most of the major advancements in the new field of nuclear chemistry. New and important, groundbreaking discoveries were suddenly coming from American sources and chemistry was no longer a European monopoly. While his College of Chemistry produced many Nobel Prizes, he would never receive one himself. He was nominated 35 times for the prize but never won. Some believe it was because of an animosity that developed between Nernst and Gilbert when Gilbert studied in his lab. 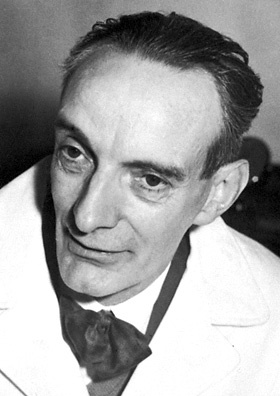 One of Nernst’s friends, Walther Palmaer, served on the Nobel Chemistry Committee. Palmaer nominated Lewis three times for the prize and then wrote negative reports to follow up the nomination. His student, Harold Urey won the Prize for his work on isotopes and the discovery of deuterium. Lewis contributed quite a bit to Urey’s study of heavy water that led to his discovery. Irving Langmuir would win the Nobel Prize for expanding on Lewis’ valence work which began a rivalry between the men. Lewis died in his laboratory when an experiment with liquid hydrogen cyanide leaked gaseous hydrogen cyanide. He was found under a workbench and the coroner pronounced him dead from coronary disease. Some believe he may have committed suicide. Lewis had early had lunch with Langmuir when Langmuir visited the College to receive an honorary doctorate. After lunch, he played bridge with colleagues who said he appeared melancholic. 2001 – Mir re-entered Earth’s atmosphere. 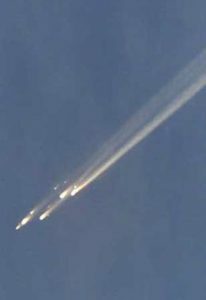 Mir re-entry still taken from NASA video. The Russian space station Mir re-entered Earth’s atmosphere, ending 15 years in orbit. The station was given a deliberate command to de-orbit and break apart during re-entry over the southern Pacific Ocean. Mir was the first long-term space station and was holds the record for being continuously crewed for almost 10 years. It also hosted the first space tourist. 1946 – Gilbert Newton Lewis died. 1945 – William Napier Shaw died. Shaw was a British meteorologist who conducted major studies of the upper atmosphere and air pollution. He also introduced the unit of pressure ‘millibar’. 1 millibar = 1/1000 bar and 1 bar = 1 atm. Shaw invented the tephigram diagram used in weather forecasting. The tephigram is a plot of temperature versus entropy and used to calculate air stability and convective available potential energy (CAPE). 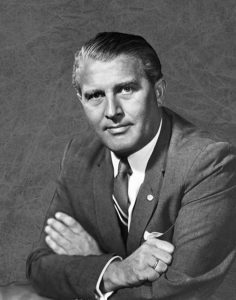 1912 – Wernher von Braun was born. Wernher von Braun was a German-American physicist who helped pioneer modern rocketry. He designed the V-2 rockets for Germany and continued rocket research for the US Army and NASA after the war. He was a major contributor to the design of the Saturn rocket that took men to the moon. 1907 – Daniel Bovet was born. Blovet was an Italian biologist who was awarded the 1957 Nobel Prize in Medicine for the invention of drugs that block the actions of specific neurotransmitters. 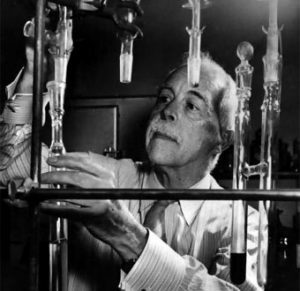 He discovered antihistamine drugs that block the histamine neurotransmitter used widely as allergy medications. 1881 – Hermann Staudinger was born. Staudinger was a German organic chemist who was awarded the 1953 Nobel Prize in Chemistry for his discoveries involving macromolecules or polymers. He discovered polymers were made of long chains of repeating molecules. Staudinger also discovered ketenes. A ketene is an organic molecule that contains two moieties bridged by an ethenone group (general formula: R’RC=C=O). Ketenes are starting material for many organic synthesis processes. 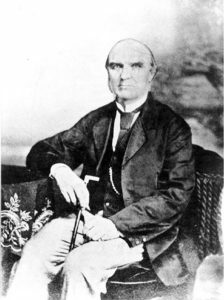 1849 – Andrés Manuel Del Rio died. Del Rio was a Spanish mineralogist who discovered the element vanadium — the first time. He isolated several salts from a mineral known as “brown lead” (called vanadite today) that appeared to be a new element. He noted his salts had similar colors to the salts of chromium, so he named his element panchromium. He renamed it erythronium after he discovered the salts all turned red when heated. 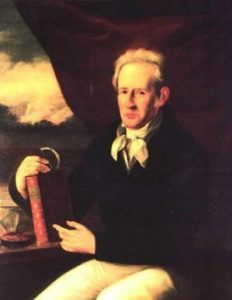 He sent samples of his salts back to Europe but his claim was disputed by French chemist, Collett-Desotils who claimed the element was an impure chromium sample. Del Rio decided he must have been incorrect and withdrew his claim. In another 30 years, Swedish chemist Nils Gabriel Sefström would rediscover Del Rio’s erythronium. He named it vanadium, after the Norse goddess of beauty and fertility, Vanadis. 1837 – Richard Anthony Proctor was born. Proctor was an English astronomer who first suggested moon craters were the result of meteor impacts and were not volcanic in nature. He was also one of the first to create detailed maps of the surface of Mars. He used drawings and sketches of Mars dating back from 1666 along with observations of his own to compose his map. Using this data, he determined the length of Mars’ sidereal day within 0.1 seconds of the currently accepted value. Proctor generated public interest in astronomy by writing about different astronomical topics in a casual, popular style. Along with books of his own, he published articles in popular science magazines of the time. 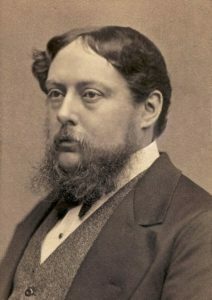 1829 – Norman Robert Pogson was born. Pogson was an English astronomer who devised the Pogson ratio scale used to describe the brightness of stars. The rule of thumb for the brightness of stars was the brightest stars had a magnitude of 1 and the dimmest were magnitude 6. The change from one magnitude to the next was twice as bright. For example, a magnitude 2 star is twice as bright as a magnitude 3 star. Pogson proposed the difference in brightness between first and sixth magnitude stars as 100. This makes the division between magnitudes as a factor of the fifth root of 100 or 2.512. This magnitude scale is still in use today. Pogson also discovered eight asteroids and 21 variable stars. 1749 – Pierre-Simon Laplace was born. 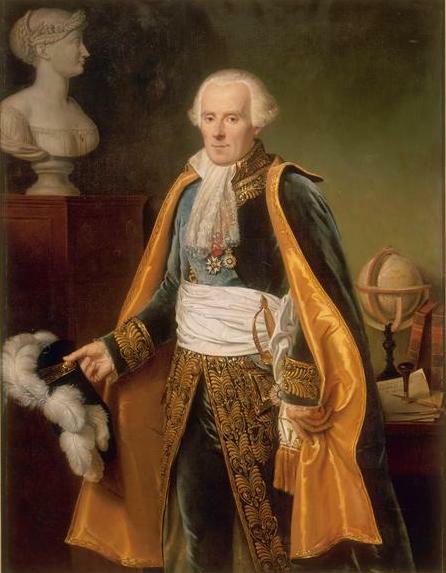 Laplace was a French mathematician and physicist who made several contributions to mathematical science. He converted the study of classical mechanics from geometry to calculus. He also introduced Laplace’s equation which is widely used in the study of electromagnetism, quantum mechanics, gravity, fluid dynamics, and thermodynamics.